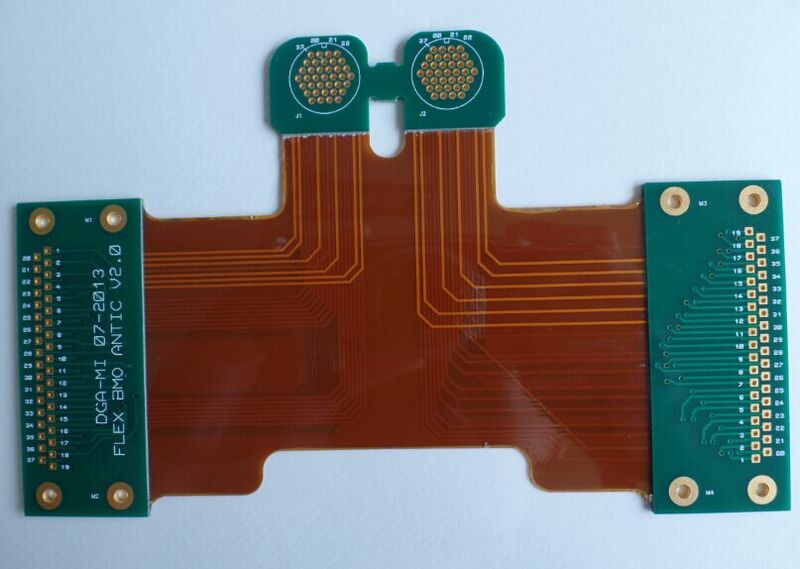 Rigid-flex PCB is a printed circuit consisting of both flexible circuit and rigid circuit. This combination is ideal for exploiting the benefits of both flexible and rigid circuits - the rigid circuits can carry all or the bulk of the components, with the flexible sections acting as interconnections between the rigid sections. Most rigid-flex circuit boards consist of multiple layers of flexible circuit substrates attached to rigid boards externally and/or internally. 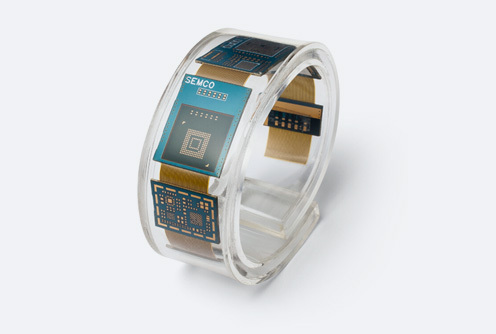 The flexible substrates are designed to be in a constant state of flex, and are usually formed in a flexed curve during manufacturing or installation. This is dependent upon the design of the application. 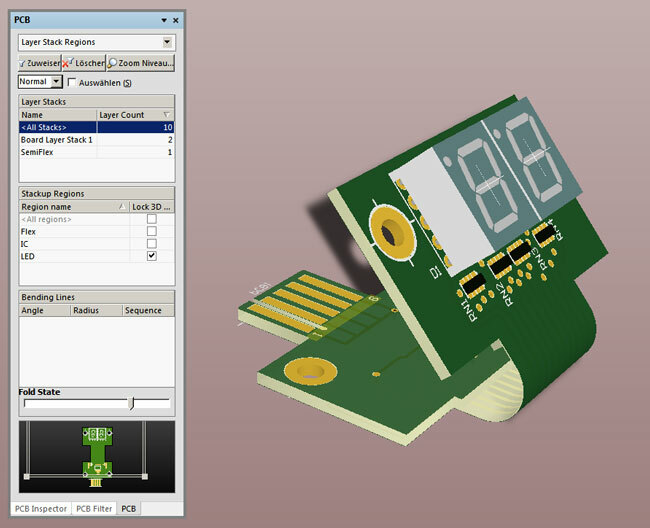 Designing a rigid-flex circuit is very much an electromechanical process. Designing any PCB is a 3 dimensional design process,but for a rigid-flex design the 3 dimensional requirements are much more important. 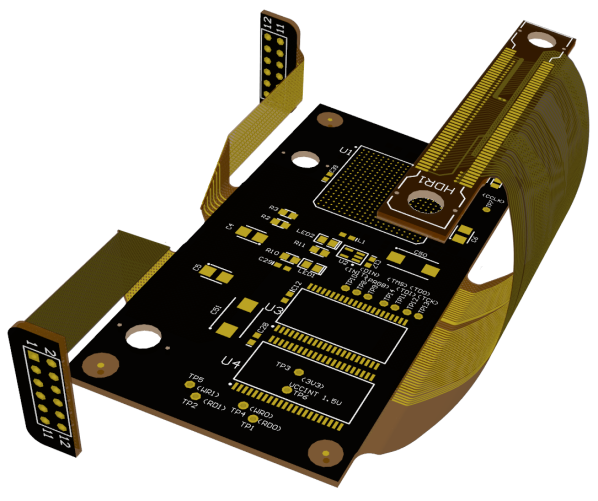 Why, because the rigid-flex board may attach to multiple surfaces within the product enclosure, and this attachment will probably happen as part of the product assembly process. To ensure that all sections of the finished board fit in their folded location within the enclosure, it is strongly recommended that a mechanical mock up is created. This process must be as accurate and realistic as possible with all possible mechanical and hardware elements included, and both the assembly-time phase and the finished assembly must be carefully analyzed. The combination of these two circuits makes it an extremely beneficial product for both applications as well as customers. Dynamism: Flexible circuits give you unlimited freedom of packaging geometry while retaining the precision density and repeatability of printed circuits. Mechanical Stability: The interchanging layers of circuits form a strong foundation. The rigid boards provide stability, while flexible boards provide the flexibility required for installation in small spaces. 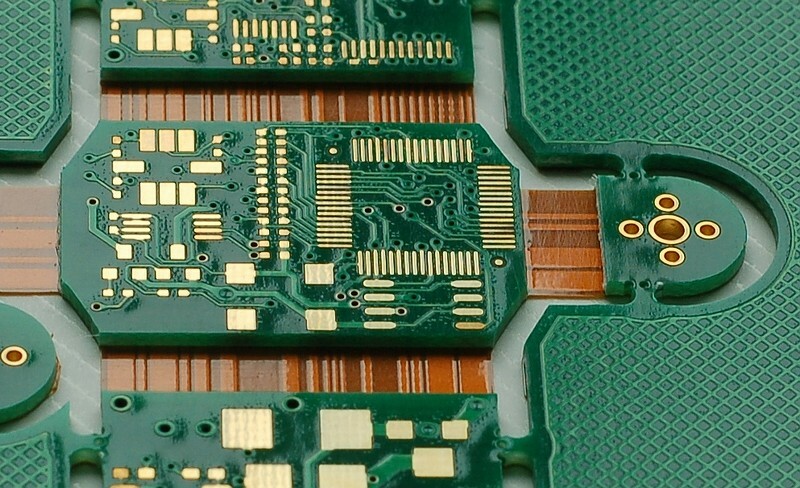 Space and Money Savings: The use of rigid-flex circuit boards can result in immense reduction in total PCB costs and expenditures. Security: It provides secure connections for other components, providing stability and polarity. It also helps to reduce the number of connector components in an application. Other common benefits include flexible design options, high circuit board density, high heat dissipation, and excellent resistance to chemicals, radiation, etc. Rigid-flex circuit boards can be found in commercial as well as industrial applications. These can range anywhere from electronic devices, to high grade aircraft mounted weapon guidance systems. Rigid-flex PCBs are a sought-after solution for industrial applications. They are mainly used in military, aerospace, and medical devices, as they can reduce the product’s weight. This enhances the device’s performance to a great extent. 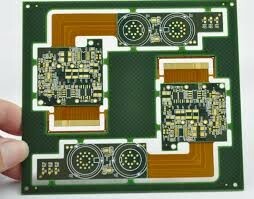 Rigid-Flex circuit boards also support construction of devices at feasible rates. This is due to their low weight and small size. The various advantages of design, function, and application, makes rigid-flex circuit boards the optimum solution for commercial and industrial applications, which require powerful components that can fit into small sized applications.